Oh my goodness!!! Sometimes when I have a good idea, it turns into an EXCELLENT idea! This was one of those times! This smelled AMAZING while it cooked! I couldn't wait for it to be done so I could sneak a taste! The rub makes this pork shoulder stand out above any I've tried before. This is definitely worthy of being in the next cookbook I'd say! This is of course naturally gluten-free, but I've pictured it below how I ate it, and how the rest of my "non-gluten-free" family ate it! They enjoyed theirs on Hawaiian Rolls, and I enjoyed mine on a some big iceburg lettuce leaves. Yum! Pork shoulders are often on sale. You may even have on in your freezer, and might not even have to make a trip to the grocery store to get started on this treasure of a recipe. Enjoy!!! Mix together all of the rub ingredients. Place your pork shoulder into your crock and rub on all sides with the rub you just made. Pour the JUST THE JUICE of the pineapples around the pork. I know the pineapples are in this picture, but they lost all flavor. We'll add them later. Cook on LOW for 8-10 hours, or on HIGH for 4-5 hours. 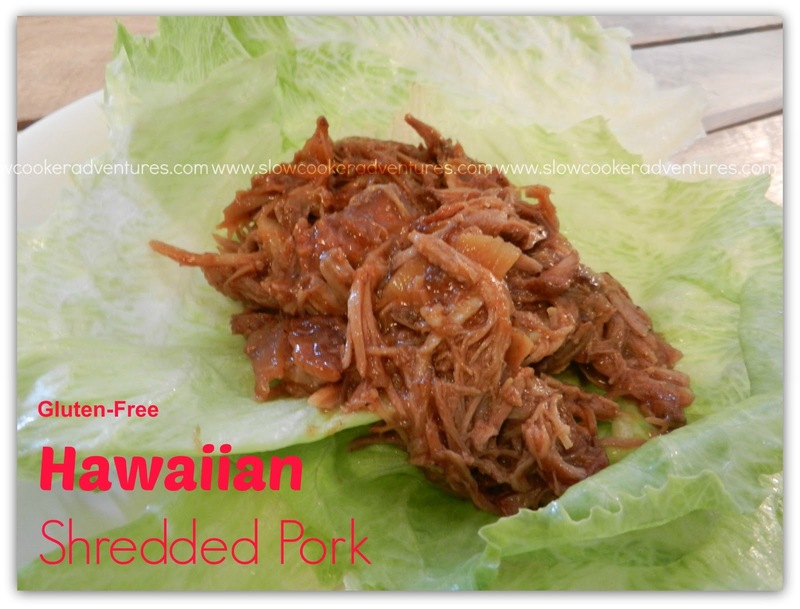 Shred the pork and place it back into your crock. 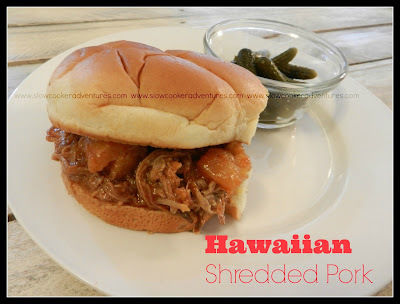 Pour the bbq sauce over the pork along with the pineapple and mix well. Let it cook another 15-20 mins. or so...just long enough to heat the bbq sauce up. I'm happy I found your site. I'm in the process of switching my diet to gluten-free (a stop on the way to paleo/primal). This recipe looks amazing, but I'm not big on pork. Do you think I could sub chicken? thanks for posting this delicious recipe! my whole family enjoyed it a lot. The pineapple syrup gave a distinct great taste. I will also want to try this with chicken. How many hours do I need to cook this? Is their a certain bbq sauce that is better with this recipe?